Stop motion videos - the effect of strobing images in sequence - are all over Instagram. Instagram is experimenting with a Stop Motion effect for the Story camera. In this post, I’ll introduce Kapwing’s free online software tools to help you make and share good-looking Stop Motion videos. Take a series of photos and stitch them together into a video. Start with a video and snapshot a series of frames to fake effect #1. Approach #1 is the classic technique. It’s a great way to make inanimate objects look like they’re moving, and all you need is a smartphone and some creative vision to make it happen. Approach #2 is easier and cheaper because you can take any footage filmed on any camera and retroactively transform it to emulate the stop motion look. You won’t be able to make inanimate objects look like they’re moving, but you can make pretty cool, sharable video for Instagram, Facebook, and other platforms. Kapwing has tools for both approaches. You can use the Montage Maker to combine images into a video and the Stop Motion Video Maker to transform existing video into awesome stop motion clips. Kapwing is a video editing suite that works on all phones and computers and is free to use, although the output videos have a small watermark in the corner (you can pay $3 to remove it). To make a stop motion video, set up the scene you want to animate in from of a camera in a stable position. Then, make small changes to the scene and snap photos of every new frame. 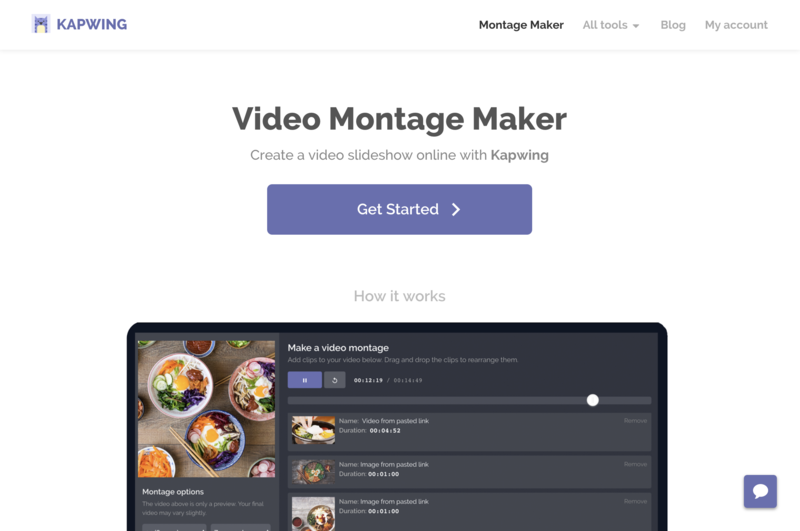 Once you have all of the images you want to combine into a video, find the Montage Maker on the Kapwing homepage and click “Get Started.” Upload all of the images, choose your options, and click “Create” to stitch the images together into a continuous stop motion video. You can also watch this YouTube tutorial on how to use the tool. Once you have your video clip, use the Stop Motion Video Maker to transform it. Find the Stop Motion Video Maker on Kapwing.com. You can watch this tutorial on how to use the Stop Motion Editor, but the site is totally self-explanatory. Just upload a video, choose a clip rate and speed to customize your output video, and create! Video processing happens in the cloud, so you don’t need to open iMovie or any other professional video editor. 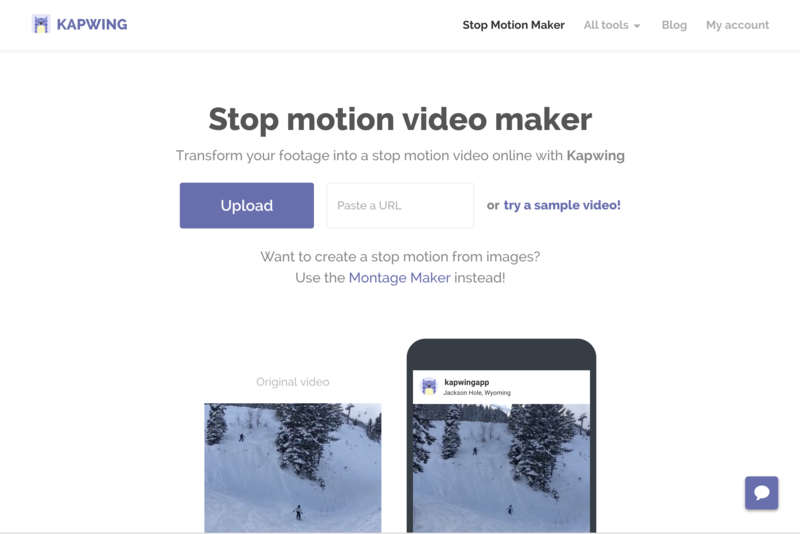 Once your Stop Motion video has been processed, download it directly from Kapwing. Go to Facebook and Instagram to share the video and don’t forget to tag #Kapwing! Would love to hear your feedback, thoughts, and requests for the new feature at [email protected] Stay tuned as Eric and I work our way to Ramen profitability and beyond!